One of the aspects the researchers studied is the effect of the colonists growing their own crops. It sounds like a good idea because it requires fewer supplies and could potentially lead to sustainable food practices, as well as a greater variety of foods such as vegetables and greens. But the researchers found that growing so many plants inside the habitats would actually produce too much oxygen—so much that the colonists would have to vent the excess. According to the projections, the first crewmember would die of suffocation approximately 68 days into the mission, because we don’t yet know how to vent oxygen without also venting nitrogen, which is necessary to maintain life-supporting pressure inside the habitats. Venting nitrogen along with oxygen would make it tough to breathe and greatly increase fire hazards. Okay, so say Mars One nixes the crop-growing idea and find a separate area or greenhouse to grow the crops, or even just bring their food from Earth. While a greenhouse might sound like a great idea, it would demand enough additional parts that the model suggests it would be more cost-effective just to bring the food. But to provide enough food and replacement parts for the essential structures would require a projected 15 heavy rocket launches, costing in the neighborhood of $4.5 billion. Mars One’s projected budget stands at $6 billion for everything it needs to get the program off the ground (the rest it intends to make via the reality TV aspect of the mission), so that seems to be a problem. 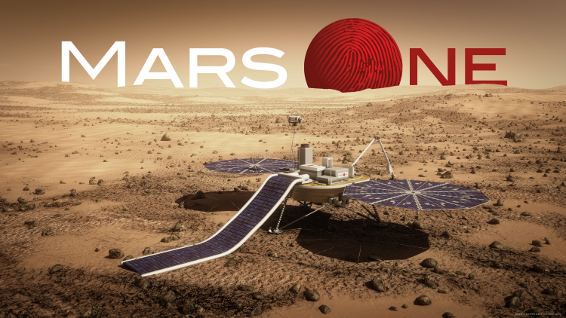 The 35-page feasibility study raises a lot of questions about the practicality of Mars One’s plan. CEO Bas Lansdorp believes that oxygen concentrators will solve the atmosphere and pressure issues and dismisses the projections, saying that “lack of time for support from us combined with their limited experience results in incorrect conclusions.” I hope Mars One is willing to address such projections and criticism to the extent that it can prove he’s right. Surplus oxygen can be addressed by combustion, either burning hydrogen or burning excess plant material produced during farming. Composting uses SOME O2 but not quickly enough to address atmospheric imbalance. The lower gravity will do a lot of harm. Need to design a small Fractional Distillation plant and have it sent on secondary flight.Burning off for plant and heat would recycle most of the excess oxygen .Noble gases may be a problem ie Argon. this could be saved for welding plant to be used later. Use the excess oxygen along with any excess hydrogen to run fuel cells. Next problem….